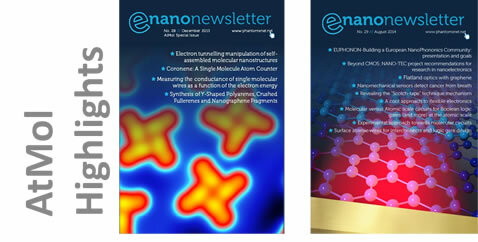 Experiments: DUF MBE and NC-AFM. Theory: TB logic gate design on a workstation. 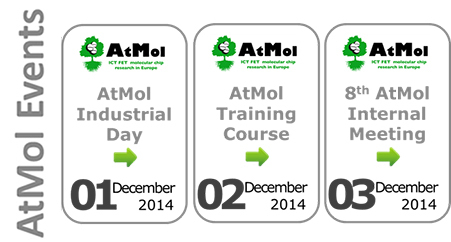 AtMol will establish comprehensive process flow for fabricating a molecular chip, i.e. 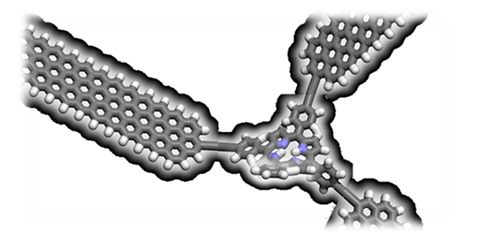 a molecular processing unit comprising a single molecule connected to external mesoscopic electrodes with atomic scale precision and preserving the integrity of the gates down to the atomic level after the encapsulation. Logic functions will be incorporated in a single molecule gate, or performed by a single surface atomic scale circuit, via either a quantum Hamiltonian or a semi-classical design approach. 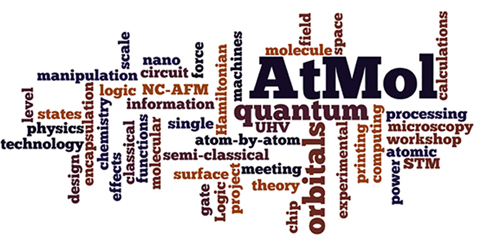 AtMol will explore and demonstrate how the combination of classical and quantum information inside the same atomic scale circuit increases the computing power of the final logic circuit. Atomic scale logic gates will be constructed using atom-by-atom manipulation, on-surface chemistry, and unique UHV transfer printing technology.